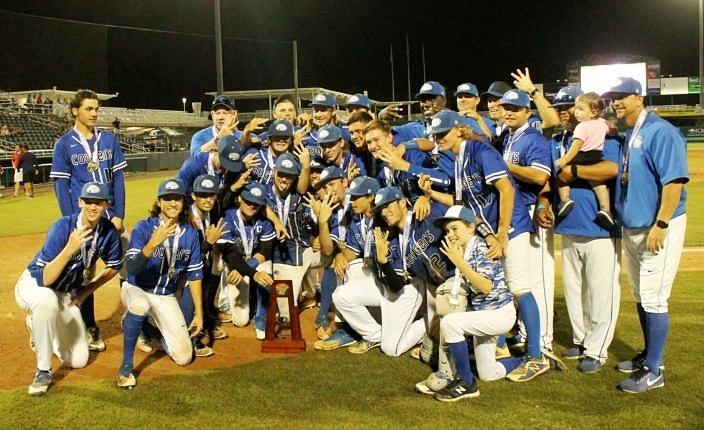 The Canterbury Cougars became only the third team in Florida history to win three consecutive state titles following Thursday’s 3A championship. It was something that the Canterbury Cougars had done before, and yet it was also something totally new and special. 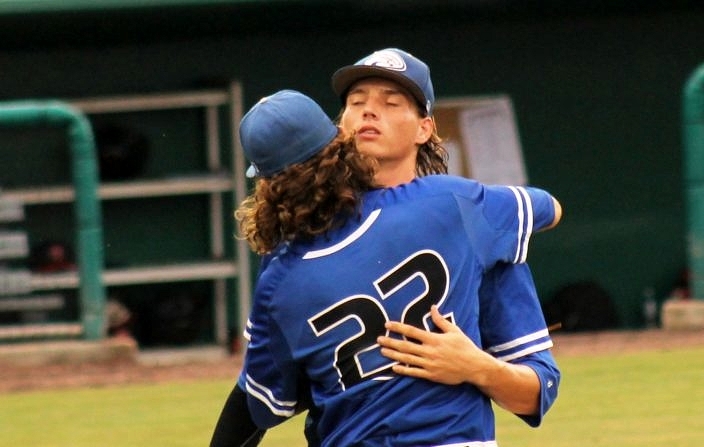 Thursday evening the Cougars successfully defended their Class 3A state crown by defeating the North Florida Christian Eagles 6-1 at Hammond Stadium, and in doing so the program became only the third school in state history to ever win three straight state championships. In winning each of the past three 3A titles, Canterbury joins elite company with the Westminster Christian Warriors and the Archbishop McCarthy Mavericks. The Warriors won three straight from 1996 to 1998, while the Mavericks won three-in-a-row from 2015 to 2017, and also won four straight from 2010 to 2013 as the only team in the state to ever accomplish four straight… so far. Certainly none of the Cougars were looking ahead yet, having defied the odds in winning a title game they went into feeling like underdogs. It takes a clever coach to convince a two-time defending state champion it is an underdog, but Cougars manager Frank Turco enjoys a unique and close relationship with his players. The Eagles got on the scoreboard to take an early 1-0 lead in the bottom of the first inning. Matthew Dickey was hit by a pitch, timed it up and stole second base and then advanced to third base off a passed ball. Brandon Walker then connected on a shot deep to center for a sac-fly RBI. Canterbury answered right back and grabbed the lead with three runs in the top of the third. 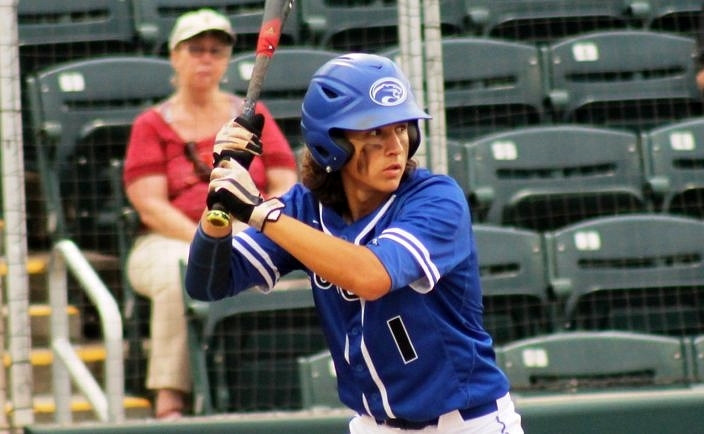 Trennon Turco got it started with a single to left, and Danny Cunningham made solid contact with Trennon in motion on a hit-and-run for a base hit past first that put runners on the corners. Nick Vanderhof congratulates Cougars starter Levi Shuck after he escaped a jam in the third. A day after struggling offensively in the semifinals, the Cougars’ offense was off and running. Nick Vanderhof then got a grounder to the right side for an RBI ground out that got the scoring started. Levi Shuck kept it going with an RBI double on a scorcher deep to center, and courtesy-runner William Shea got moving and scored on an RBI single to center from Santino Cervone. The Cougars extended their lead with a pair of runs in the fourth. Trennon reached on a fielder’s choice and both Cunningham and Vanderhof walked to load up the bases. Giovanni DiGiacomo then reached on an error that allowed two runners to cross the plate. The contributions from those players made extra difference, after DiGiacomo recently returned from injury, while Cunningham shifted to the top of the order this season and Trennon earned a starting role for the first time. “This one, I actually had a big part and I earned it. So it was awesome. It was surreal,” Trennon said, after earning the two previous rings wile mostly serving as a spectator on the bench. Canterbury kept adding on with another run in the fifth. Cooper Weiss singled to left and advanced into scoring position thanks to a sacrifice bunt from Cervone, before crossing the plate after Will Cialone reached on an error. Meanwhile, the Eagles initiated plenty of scoring opportunities by loading the bases in three straight innings as plate discipline led to numerous walks issued to them. But the Cougars managed to avoid any serious damage each time. North Florida Christian finally connected for its first hit of the day in the bottom of the fifth, on a single up the middle from Major Posey following a walk to Brandon Walker. But Canterbury again quelled that threat with back-to-back strikeouts from reliever Bryce Einstein. Trennon Turco reached base three times and scored twice, going 1-for-2 with a walk and also reaching on a fielder’s choice. While the Eagles are left wondering what could have been, the Cougars have now etched their name with elite company in the state record books. Many of the guys on the roster have been at the school for years playing together, and senior lead-off hitter Danny Cunningham is a five-year starter. DiGiacomo helped play a big part in all three titles, and the senior was 3-for-7 in the Final Four to help cap off his high school career the right way. After injuring his leg running in the state track meet, he was just happy to be back to contribute to something few thought they could do.